Chrome finished cylindrical lure bodies as used in the Zulu range. Length 15mm and 3.5g.To make a lure of approx. 6g. Superb for Sea Trout. 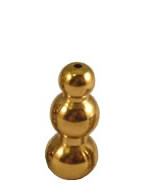 Three ball Brass lure bodies as used in the Zulu range. Length 22mm and approx. 7g. To make a lure of 11g. Packed in 10s or 20s. 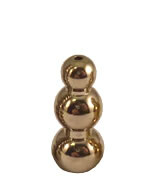 Three ball chrome lure body as used in the Zulu range. Length 22mm and 6.5grams. To make a lure of 11g.